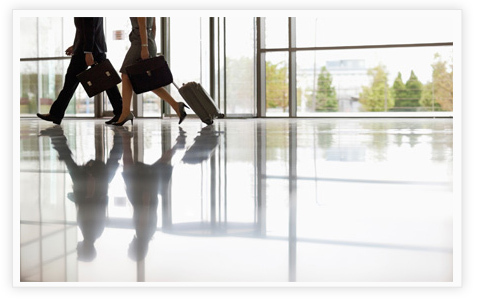 Never be late for your business meetings or corporate events when you travel with C&S Executive Transportation. Deemed as the number one professional chauffeur service in Houston, C&S Executive Transportation assures entrepreneurs and businessmen to safely and promptly arrive at every business occasion that they need to attend in and around the Houston area. With our wide array of luxury vehicles, our company definitely has the right vehicle for you. Whether you are traveling alone or with your colleagues, C&S Executive Transportation has available luxury vehicles that can accommodate individual business travelers to groups attending corporate functions. Our car service is available 24/7. There are two busy airports in Houston that C&S Executive Transportation service – the George Bush International Airport and the William P. Hobby Airport. Our round-the-clock airport transfers is available for both local and foreign business executives who are transiently visiting Houston. Choose from our selection of luxury vehicles from sedans, town cars, sprinter vans, to executive coaches. All our vehicles are handled by the best and most experienced chauffeurs so you are assured of prompt and safe arrival to your destination within the city. C&S Executive Transportation is here to provide professional transportation services and friendly chauffeurs ready to drive you around according to your own itineraries and schedule. When there are clients coming in from out of town or you have a series of corporate events being organized to celebrate and/or welcome clients, C&S Executive Transportation is here to provide you with transportation services capable of handling any event and group size. Our company vows to transport you and your clients or employees safely and promptly around the city. You need not worry about coordinating transportation because C&S Executive Transportation is here at your service.